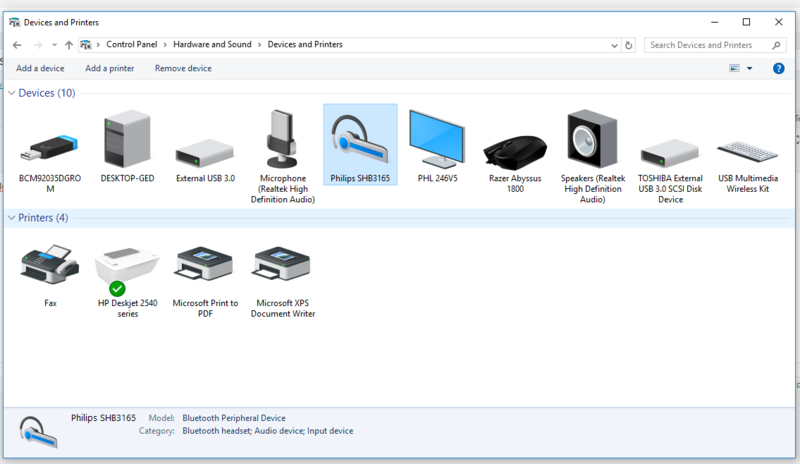 It turns out that the Bluetooth “dongle” ive been using is only a bluetooth 1.2 version and most of the “dongles” you buy on amazon are 4.0. I bought that the USB dongle back in 2004 so you can see where this is going. Now i wish i knew the difference between bluetooth 1.2 and 4.0 so further research is needed! Seems this is a problem with bluetooth in general. 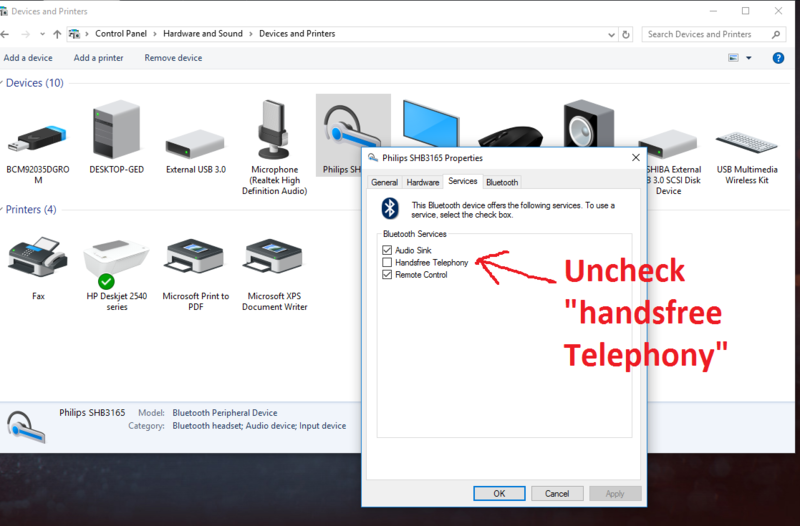 I found the following article from the steam forums about bluetooth headset problems in GTA V. It might be worth a read to shed light on any problems your having. 2. Select Properties on your Bluetooth headset and go to the services section. Note this works on Windows 10 cant say if it work on Windows 7 or 8.